Some dogs are unreliable in the company of other dogs, try to eat postmen and delivery drivers and some like to eat whatever they find in the park. A Baskerville Muzzle has a Light Weight Basket Design, gives all-round protection, but still allows Unrestricted Panting and Drinking. 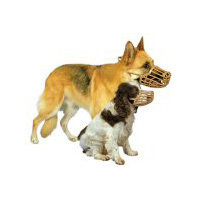 The Baskerville Dog Muzzle is made from Soft Plastic Mesh which is washable and is suitable for all breeds! 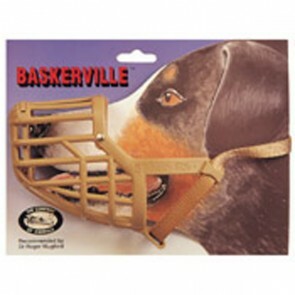 Baskerville Dog Muzzles: 5 stars out of 5 based on 1 user reviews.